Minneapolis is an underrated US city. Here's why. 1. It’s big enough to stay anonymous or develop small town connectedness. The Twin Cities have 3.8 million people in the metro area, so it’s big, but not too big. Locals know there are plenty of crowds for extroverts to be in and enjoy, and there’s a common respect for privacy so introverts don’t have to feel like they’re the odd ones out. Minneapolis is a walkable city — even in the dead of winter, thanks to the most extensive skyway system in the world, which offers more than 8 miles of indoor walkways. For excursions to surrounding neighborhoods or nearby St. Paul, public transportation, and biking can get you to your destination. The Minnesota State Fair combines the charm of rural farm life with the excitement of big city choices (get cheese curds and corn-on-the-cob and choose from over 300 craft beers, while you enjoy live music and entertainment at one among dozens of performance stages). The Twin Cities Marathon is a massive undertaking, but you won’t be surprised to find yourself running along with friends and acquaintances among the nearly 25,000 participants. And yes, “Minnesota Nice” is real, even if it’s over-exaggerated at times. 2. More people want in on its youthful energy and optimism for the future. Millennials are moving there en masse. A 2015 study places young adults aged 18 to 34 as more than 1/3rd of the total population in Minneapolis. It looks like continued growth for years to come. As that demographic ages into more economic and cultural roles, the more influence they will bring to the city’s development. 3. The thriving food and craft beer scene. For something more familiar, a classic Minnesotan tradition is the Juicy Lucy: A hamburger with cheese melted inside the patty. You have lots of choices of where you’ll go to get it — both Matt’s Bar and Grill and 5-8 Club claim to be the home of the original Juicy Lucy. Dangerous Man Brewing Co. is the perfect, lively neighborhood meeting place, complete with food trucks. Surly Brewing Co. has taken the city by a storm with their new location and food offerings on top of the quality beer lineup (make reservations if you want more than beer). Pick from a variety of brews at Indeed Brewing Company (the Day Tripper Pale Ale will turn you into a regular), Bauhaus Brew Labs, and Sociable Cider Werks. 4. It’s got plenty of outdoor spaces. A short five-minute drive will take you to Lake Calhoun and its 3.1-mile stroll, with the skyline visible beyond the park’s trees. In Minneapolis, that convenient access is not unusual: 95% of residents live within a 10-minute walk (½ mile) of a city park. The Trust for Public Land ranked Minneapolis #1 (along with Twin Cities rival St. Paul) for how well US cities are meeting their needs for parks. 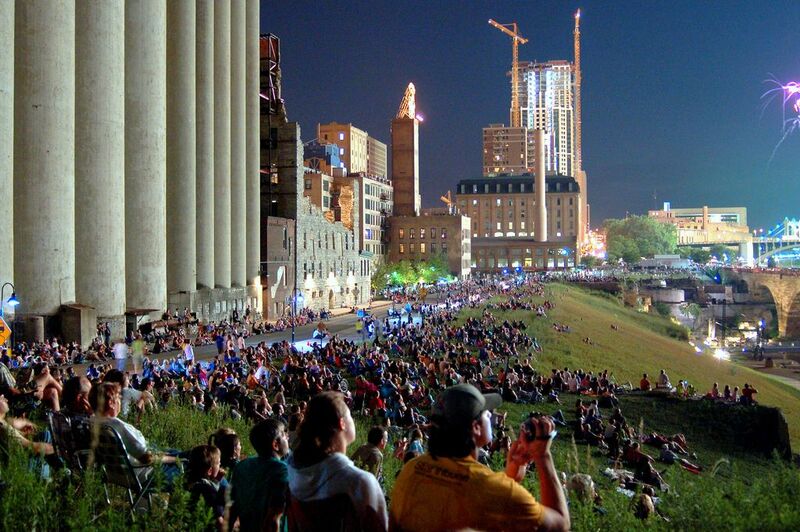 Catch movies in the park, six nights a week throughout the summer. Minneapolis often tops the list of healthiest cities in the country, but that’s not surprising if you know how many options are available. Walk a short trail to see Minnehaha Falls. 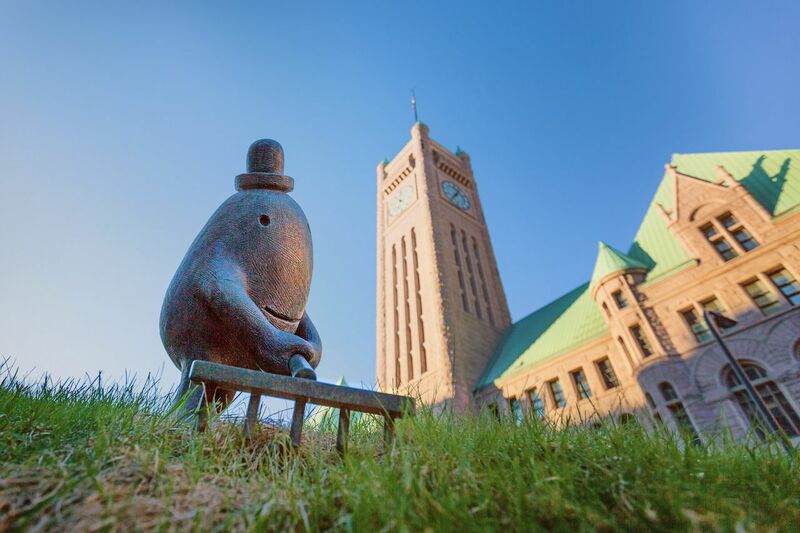 Head across the Stone Arch Bridge into downtown, or stop to check out Mill Ruins Park and learn about the area’s industrious past. Paddle boarding, kayaking, and canoeing are regular activities on the city’s lakes. If you’re tired of walking, bike around town or enjoy the trails around Lake Nokomis, Lake Harriet, or Lake of the Isles. 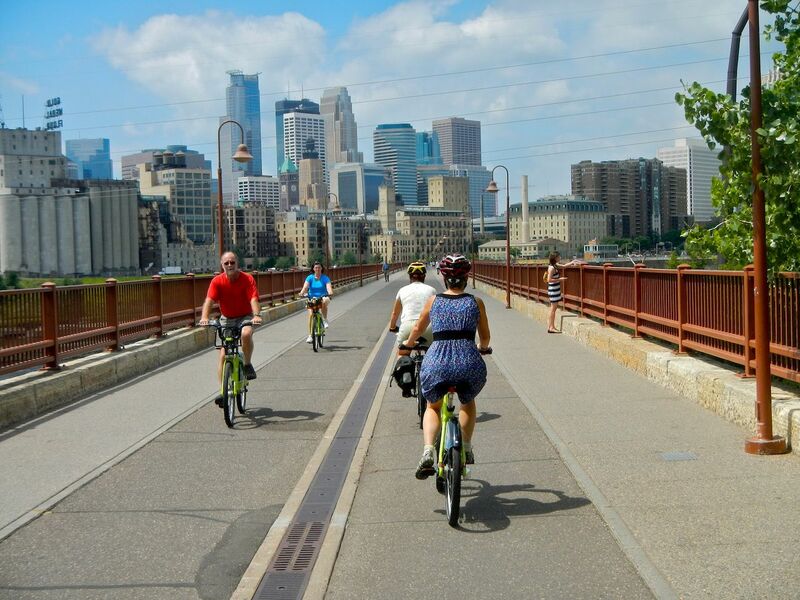 Minneapolis consistently ranks in the top 10 bike-friendly cities in the United States and even placed 18th in the world a couple years ago. And, hard and amazing to believe, locals still bike through the bitter-cold winters. 5. Art and music are center-stage. See a show at the Guthrie Theater, or at least check out a bird’s eye view of the city from the Amber Box and the Endless Bridge. Last season at the Guthrie included productions of To Kill a Mockingbird, South Pacific, Shakespeare’s Pericles, and the perennial favorite, A Christmas Carol. The Orpheum in Minneapolis and Ordway Center for the Performing Arts in St. Paul keep a constant stream of world-class theater available (My wife and I couldn’t stop applauding/laughing at Elf: The Musical). Public radio fans can catch a live recording of A Prairie Home Companion at St. Paul’s Fitzgerald Theater. The Walker Art Museum’s Sculpture Gardens are being renovated. Once they’re done, you might be able to play a round of mini-golf hosted by the museum. The Twin Cities have one of the most underrated music scenes in the nation, and are supportive of young artists, too. Catch a show at Dakota Jazz Club or get a taste of local and national indie pop, folk, and EDM at the iconic First Avenue downtown (which was the location of Prince’s Purple Rain video). Current performances include K. Flay, Andrew Bird, LANY, and The War on Drugs. Smaller venues like The Warming House provide other unique, intimate listening experiences for local acts. For more about Minneapolis’s music scene, check out Matador Network’s Music Lovers’ Guide to Minnesota. 6. Higher education options are diverse and plentiful. Move there to study — stay there to work and play. That’s how a lot of Millennials get to Minneapolis in the first place before they fall in love with the city and decide to call it home. The University of Minnesota is the most dominant academic presence. It draws students from all over the world (with over 42,000 combined undergraduate and graduate students). Graduates from Minneapolis College of Art and Design, Augsburg College, University of St. Thomas, and other public, private, and technical schools stick around the Twin Cities, too. 7. Employment options range from Fortune 500 to independent creative agencies. The mixture of large corporations and small businesses offers significant opportunities. Until recently, the Cities held the second highest per capita concentration of Fortune 500 companies (i.e., Best Buy, Target, General Mills, and 3M). Large and small independent marketing agencies thrive there, too. Though young adults had a more challenging employment environment from the last decade’s recession, the Twin Cities have remained more economically stable than most metro areas. As of 2016, it offers the highest employment rate for 18-to-34-year-olds in the United States. More like this: The best place to stay on your trip to Minneapolis is Bloomington, MN. Here’s why.